This September marks the beginning of Brooke’s fifth year at North Star Montessori! Brooke is the Lower Elementary Head Teacher in the Arbutus Room. My summer was filled with lots of learning, inspiration, rejuvenation, and deepened gratitude for this beautiful province we live in. 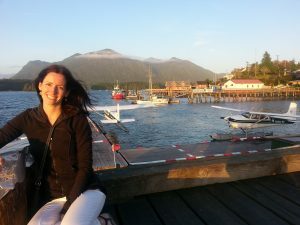 For the first summer since moving to BC, I did not embark on an international travel adventure as I usually do and instead chose to stay close to home. I took an amazing but intensive course for the first two weeks of the summer to become certified as a yoga instructor for children. I learned so much and am eager to share some of it with the children this year. After the course finished, I spent a lot of time hiking and exploring new places locally. I took some trips with friends to the Okanagan, Nelson, Joffre Lakes and my favourite of all, Tofino. Although my summer was incredible I am definitely excited to see the smiling, enthusiastic learners (and their parents) who greet me at the door each morning as we start another school year together at North Star!